An e-poster by Rose Raizman, RN-EC MSc, featuring the MolecuLight i:X, presented at the recent EWMA conference in Amsterdam, has been selected to receive one of the four e-poster prizes awarded from this year’s meeting. Her study, entitled “Real-time fluorescence imaging of bacteria guides treatment selection and timing of dressing changes in patients undergoing negative pressure wound therapy”, was selected to receive this award from the more than 500 e-posters presented at this year’s EWMA meeting. 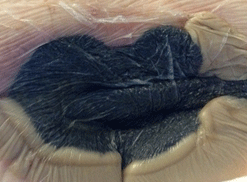 This case series demonstrated the ability of MolecuLight i:X fluorescence images to detect bacterial presence prior to wound dressing changes through the sealed, optically transparent adhesives routinely used with negative pressure wound therapy (NPWT). Heavy bacterial burden (red on images) observed under adhesive prompted early dressing change and switch to NPWT and installation treatment. Swabs later confirmed heavy E.coli, S. aureus and E.faecalis. 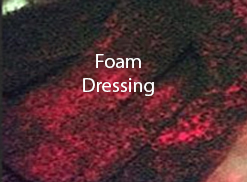 Bacterial fluorescence was also detected during dressing changes, where it was visualized on foam negative pressure wound therapy (NPWT) dressings, within the wound bed itself, and on peri-wound tissues. Bacterial visualization in real-time helped to guide: (1) bioburden-based, personalized treatment regimens, (2) clinician selection of negative pressure wound therapy (NPWT) with or without instillation of wound cleansers and (3) the extent and location of wound cleaning during dressing changes. 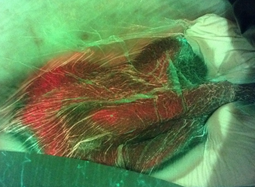 The ability to visualize bacteria prior to removal of dressings led to expedited dressing changes when heavy bioburden was detected and postponement of dressing changes for 24 hours when red fluorescence was not observed, avoiding unnecessary disturbance of the wound bed. The results of Rose Raizman’s study highlight the ability of MolecuLight i:X fluorescence images to provide invaluable real-time information on a wound’s bioburden, contributing to clinician treatment decisions in cases where bacterial contamination could impede wound healing.